There are four clubs in Zambia. The Zambian police also play in some Zambian tournaments with their hardy ponies that do everything – public parades, riot duties, cross country, jumping and polocrosse. One of the clubs is based on behind a safari lodge. It is not unusual to be playing polocrosse whilst elephants are going about their daily activities in the background or to be joined by a hippo escaping the cool water for a bit of sun and a graze when your horses are grazing in the paddock. Zambia really is the true Africa. The 2019 World Cup will be team Zambia’s third World Cup. Zambia has played internationally since 1996, initially against Zimbabwe in the Annual ZimZam Polocrosse Tournament and also in Junior tests amongst both country’s youngsters. Zambia used to take a constant beating against Zimbabwe, but the team has grown in confidence and although numbers are few, Zambia has climbed the polocrosse ladder and are currently ranked second in the world. There are two World Cup best lady players on the Zambian team. 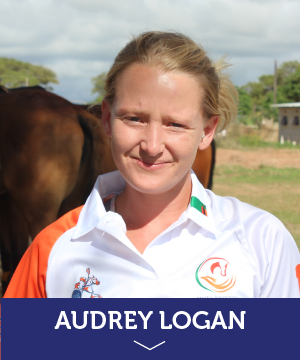 Kelly Kraynauw won the position in the Polocrosse World Cup in UK in 2011 playing for Zimbabwe and Lauren Watson who won the position at the last World Cup 2015 in SA playing for Zambia. The newest and youngest team in the top eight, team Zambia has done itself proud from ranking eighth in its first ever participation to second place in their second World Cup. An incredible jump for a country that has around 80 registered players. Placing second in the 2015 World Cup, bringing home Best Lady for 2015 World Cup and beating the world champions in the opening match of the 2015 World Cup. Past representation Represented Zambia since the age of 15 in many tours and played for Zambia in the 2011 World Cup in UK. Past representation National representation U14/U16/U19/U23 and Men’s open since 2010. Past representation The 2019 World Cup will be my 3rd for Zambia. I have represented Zambia in many Internationals since the age of 13 against South Africa, Zimbabwe, USA, and Australia. Past representation All age groups for Zimbabwe, Captain of Zimbabwe mens for 10 years. Represtent South Africa Mens Veterans. Past representation World Cup 2011. As in other countries, polocrosse is a farmers' sport and there are claims of it starting around the same time in both Livingstone and Choma around 1992. It then moved to Chisamba, on to Lusaka, Mazabuka and briefly in the Copperbelt. Polocrosse took Zambia by storm and the sport spread like wildfire! Everyone wanted to play! Livingstone, (the tourist capital of Zambia) is home to one of the seven wonders of the world Wonders – the great Victoria Falls – and lies in the south of Zambia bordering Zimbabwe. It is home to the Evans family who own Chundukwa Lodge on the banks of the Zambezi River and also run horse safaris. It’s quite often that you see the elephants ambling past on their way to the river during a polocrosse tournament. Townie horses, like ours, are not happy with the invaders and can cause quite a commotion in their stalls whilst the beasts slowly go by minding their own business. Before polocrosse spread from Livingstone to other parts of Zambia, Livingstone Polocrosse Club used to team up with the then Victoria Falls Club over the border in Zimbabwe and competed there, as well as Bulawayo and Featherstone tournaments. Their horses would be loaded onto the train in Victoria falls and sent to Bulawayo 400 km away. From there they would be trucked to Featherstone for that tournament. Once all was done, the trip was done in the reverse all the back to Livingstone! Choma is two hours inland from Livingstone on the way to Lusaka. It is a bustling farming town and home to the Beckett and Counsel families who built up polocrosse on a field on the Beckett’s farm. This too is still going though numbers are small. Chisamba, a small farming town an hour from Lusaka started Polocrosse at the Woodley family farm – Fringilla. Sadly, they are no longer playing polocrosse. In Lusaka, Rachel Howard (nee Jellis) of Lazy J Ranch Equestrian Centre went to dinner to Tim and Nicola Fuller’s home and noticed two strange looking sticks hanging on their wall. On finding out that these very shallow netted cane sticks were used in a horse sport, she was intrigued and asked them to come and show them how to play the game. So, Leopard’s Hill Polocrosse Club was born and we still have one of the Fuller’s original sticks on the back of our club pub wall. At Chisamba and Leopard’s Hill’s first interclub game together, both were so inexperienced at the sport that they lined up face to face! Obviously the Fullers were not around that day. It was not much later that Lubombo in Mazabuka, Trot-Over Polocrosse Club in Lusaka, Lusaka West club was registered and last but not least, Lusaka South Country Club opened. Kitwe took it up in the Copperbelt but unfortunately they only managed one tournament. Polocrosse had infiltrated Zambia in a BIG way and of course the legendary parties and fun came with it. Although Zambia's polocrosse player numbers are small there are some amazing players there. Zambia has awesome junior players who are already playing A division and will no doubt be ready to fill slots in the 2023 World Cup. These, under the consistent coaching of Rory Logan, have leapt through the divisions quickly to the top. Zambia also has Renay Kyriazis, who has taken in everyone’s old ponies, fed them up beautifully with her own feed mix and has 23 youngsters (including some of the police kids) playing Junior Division. Some have since bought their own ponies and are ready for C division and so it’s great thanks to Renay that polocrosse will continue to grow in Zambia. Zambia’s first appearance in Australia was when Rachel Howard, Victoria Sharp and Lauren Watson played in the carnival alongside the World Cup in 2007. We created a stir when on arrival at customs in Brisbane, Rachel’s polocrosse stick bag revealed a white frog that had travelled all the way from Zambia. For the rest of the trip we were subjected to “froggy” jokes and even found a pub selling a cocktail called a “Squashed Frog” on the first night! Since then we have played in many internationals, the main ones being the 2011 World Cup in England, coming in eight place and then in the 2015 World Cup in South Africa where Zambia came second.